We encourage our customers to try different brands while training with us, so that they can find the right tool to suit them – as everyone’s needs are different. 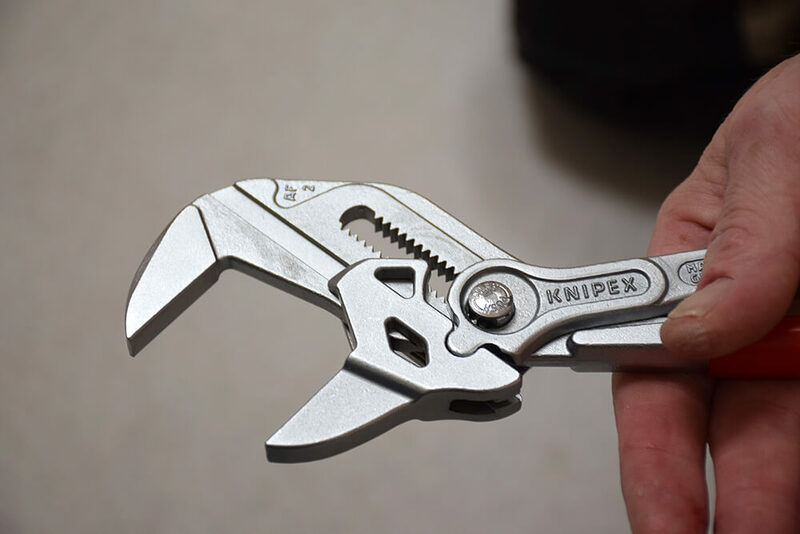 The hand tools listed below are the basic, essential tools you will require on the job and will ensure that you are covered for a variety of domestic situations and callouts. We have linked you to some suggestions, which have been recommended and reviewed by our trainers and customers alike. We have also supplied average costs of the items, on a scale from some of the cheapest available to some of the more expensive brand names. A tradespersons tools are one of their most prized possessions. Many tradespeople will spend years building up their tool kit, starting with the essentials and then expanding into more detailed and intricate tools needed for the job. 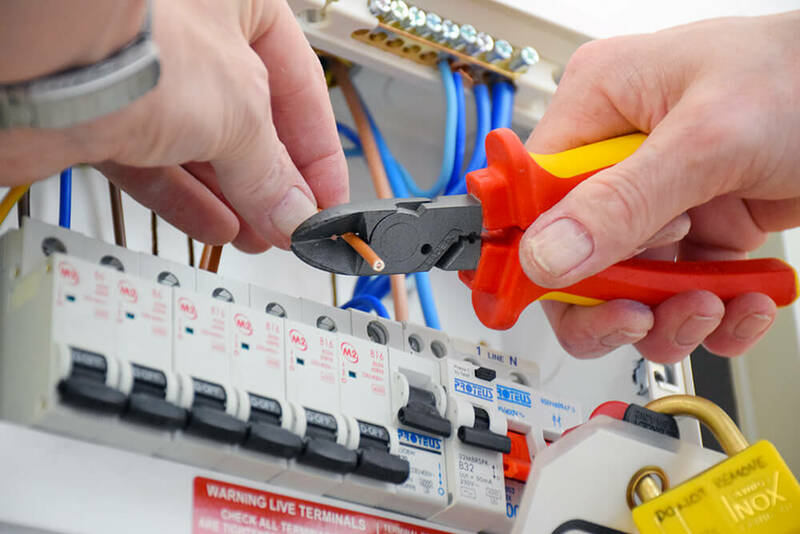 Tools required for domestic and commercial electricians will vary and for this reason, the list below is just recommended for those new to the domestic electrical industry. Most importantly, don’t forget to think about tool storage as well, for example a rucksack or tool bag to carry your tools around on site. 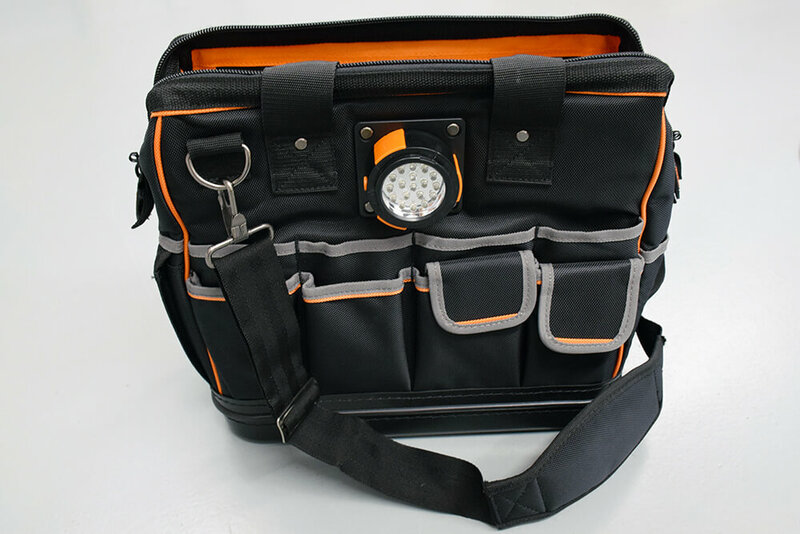 It will depend on your working areas and the job for which option you choose, as remote electricians may opt for a tool bag out of ease of sliding into the van at the end of a job, however, if you work in a large city you may find it easier to travel with your tools in a rucksack. 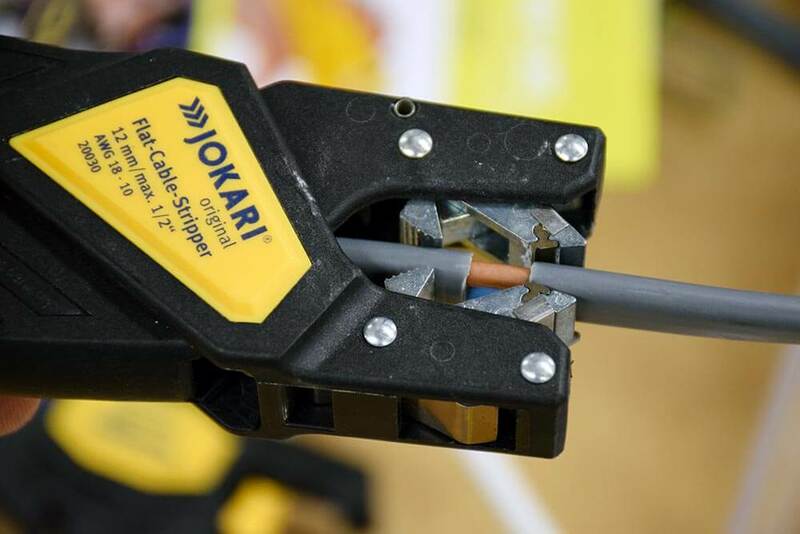 Essential to any electrician is quality cable cutters, pliers and strippers. Cutters may also be combination, which offer multiple uses in one tool making it a very popular and useful tool to have on site with you. If you already work in another skilled trade, you may already own a reliable screwdriver set. We would recommend having a good quality set with interchangeable blades on site, because it means less storage on multiple different types of screwdrivers and all that you need are in a handy carry case. 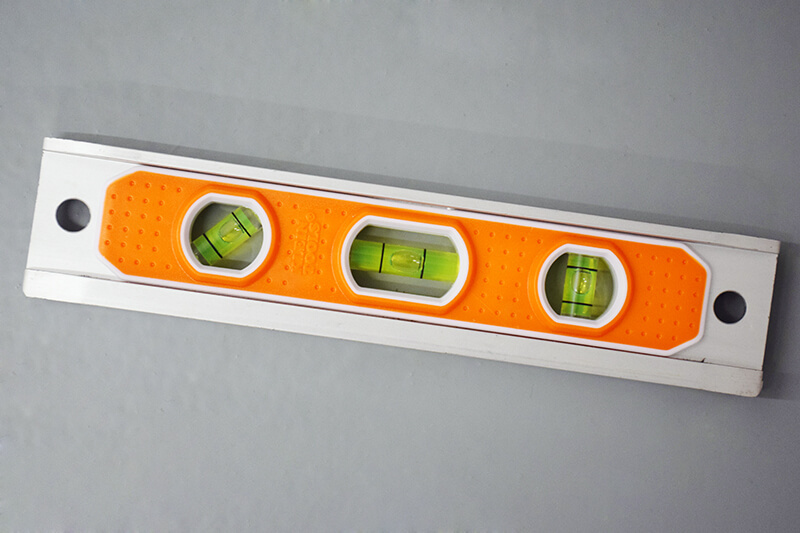 An important part of any installation is making sure everything is measured correctly and level, for example, that back boxes are not uneven as this is a direct reflection of the level of care you take in your work. The following tools you may not think of when starting out, but they are essential to doing your job as within the Regulations, you will have exact measurements to follow and cannot be sure without something as simple as a tape measure. 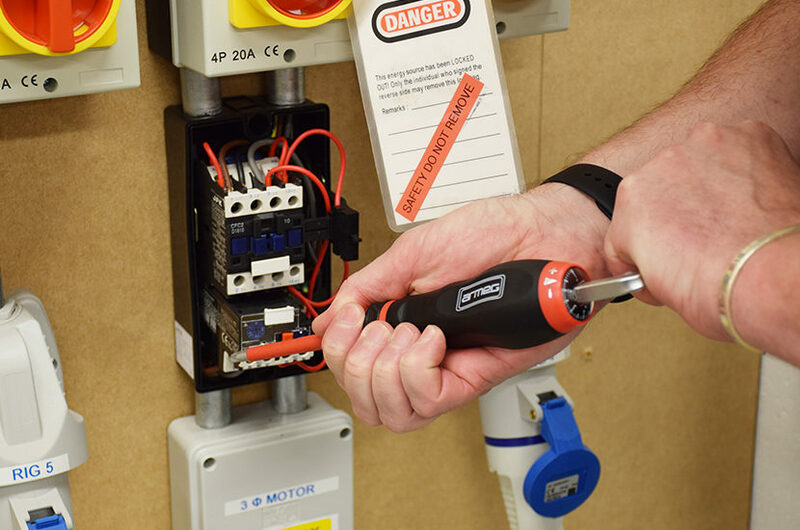 Many may think that electricians rely on screwdrivers, cutters and testing equipment to do their job, but you will also require some other general hand tools to carry out your day to day job. Tools such as wrenches and hacksaws are incredibly useful, as simpler tools like a Stanley lock knife and a work lamp or head torch. The above tools are you bare minimum tools that you will need on the job, ready to tackle any domestic scenario. The overall cost of the mentioned tools can vary between £278 and £650, with the main varying factor being the brand you choose, as well as if buying as a set or individual. Our recommendations, which are linked on select items, are the best examples that we have used in our centre and have been reviewed on their cost, longevity and quality of finish. In the next installment, we will be looking at power tools that are essential for a domestic electrician.